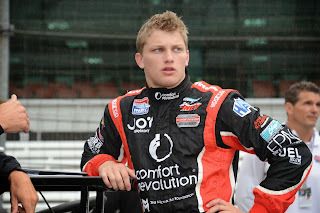 In 2011, he finished 4th in IndyCar points. In 2012, he finished P13 in the standings despite being saddled with a Lotus for the first four races of the year. He's been called a "super-sub", the consummate veteran open wheeler, and a driver who will give you the best even a bad car can give you. In some ways, the 39 year-old Oriol Servia remains the great cipher of IndyCar. Since 2008, he's raced with five different teams in IndyCar (bump that number up by a half-dozen more if you go back to his CART days). Yet he's never completed two consecutive full seasons with the same team. If he isn't filling in as a part-timer, then his time has sponsor difficulties, or doesn't finish out a season. Some drivers have hard luck on the track; Servia's seems to take place mainly off the track. This year, we saw Servia with Dreyer and Reinbold Racing in their Panther/DRR form; after the team announced they'd be done with IndyCar for 2013 after the Indy 500, he split time at Panther Racing. And, of course, Panther Racing looks to go with Ryan Briscoe for 2014, assuming their non-National Guard sponsors are in line. Oriol Servia missed seven 2013 races. He still finished P22 in points. Of course, everyone knows that in racing as it exists circa 2013, most drivers need to be able to bring, find, or otherwise secure sponsorship to get locked into a seat. Servia has never had the sponsor success of a Charlie Kimball or a Graham Rahal, and that hasn't helped in an IndyCar series where there are very few fully-funded rides. That's part of the reason why he might be on many fans' list of "who I would have on my fantasy IndyCar startup team", but not necessarily in a position to help a team with severely limiting funding. Servia might be a great option if the cash flowed in like water, but that's not the case. Oriol Servia isn't a superstar, but he remains a competent, skilled driver with track experience only a few IndyCar regulars can match. He's a welcome addition to the field--a guy who's going to give you more often than not a hard-fought, quality run, without any stupidity included. 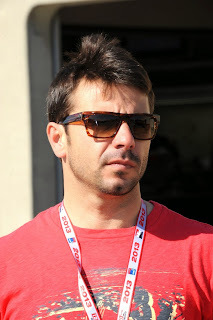 So where will Oriol Servia be in 2014? Will it be for a few races at a possibly revived Dreyer and Reinbold Racing? The speculation that Servia would be with Team Barracuda or in a second Panther car certainly seems remote right now, but both scenarios are wait-and-see deals. If any of the Indy Lights rookies making in the jump need another stabilizing presence and good teammate, one's thoughts would have to turn to Servia, wouldn't they? How many times have we seen a seat filled for a weekend and thought, "what about Oriol Servia"? But that's the fate of Oriol Servia. He's good enough for a season somewhere, or to fill in a race, but the enduring, single-team relationship evades him. There's always someone waiting to step back in, a catastrophe waiting , someone with just a bit more funding, or a different direction the principals want to pursue. To put it in terms of Romance of the Three Kingdoms, he is Zhou Yu to the rest of IndyCar's Zhuge Liang; immensely capable, talented, and among the best at what he does, but by circumstance and fate, destined to be the "other option". The best prediction we have is that we'll see Oriol Servia in 2014. He'll probably fill in somewhere, and do a good, solid job with what he has. Whether it's a single race or a dozen, it will be good to see Servia out there. And then IndyCar's quintessential journeyman will then go to his next task, and do it with all the skill and veteran insight we've come to expect. Even in Oriol Servia's turbulent, varied career, some things never change.